COMMUNITY consultation for a proposed Masters Hardware store at Kepnock has closed and the results are in. Of the 81 submissions launched to the Bundaberg Regional Council during public consultation, 92% were against the development. 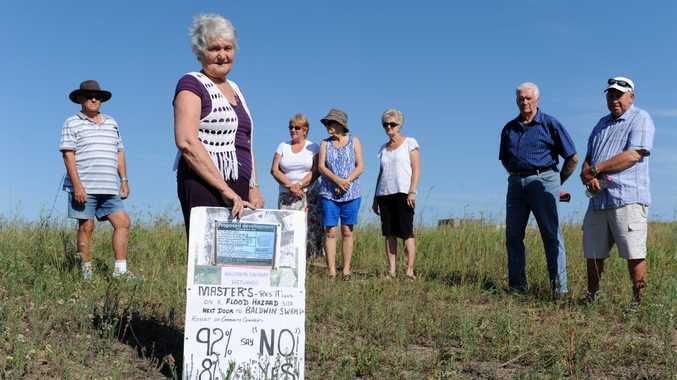 When the NewsMail spoke with the Kepnock Residents Action Group last month, the committee was yet to finalise their position on the proposed development. Group member Mary Walsh told the NewsMail the group had met, discussed the application and decided to withhold their support. She said the group compiled six reasons why the development would not see their support, and included them in their submissions to the council. Ms Walsh said the development could not be considered in the absence of a flood study and recommendation. She said the group further believed the proximity of the development to Baldwin Swamp raised pollution concerns. Considering approval for commercial development on residential A land was listed as setting "a bad precedent" for future development. Ms Walsh said the application was "clearly" not just for Masters and said the application for shopping precinct on the land adjoining was currently before public consultation and could not be ignored. A council spokesman said any further progress on the application would be halted as the council waited on feedback from the Transport and Main Roads Department. "Once we've received that, the application may go to Council's next meeting, which is next week," the spokesman said. He said if the information was not received in time for the December 17 meeting, the final vote would not go before the councillors until "early next year".